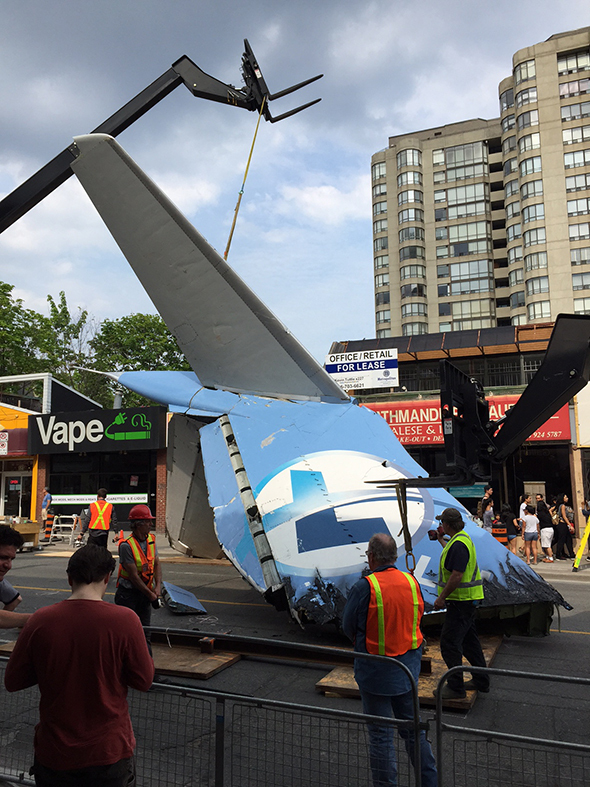 The Suicide Squad production was a little quiet when it started filming in Toronto, but that's changed over the last couple weeks as large scale shoots have been spotted around the city. 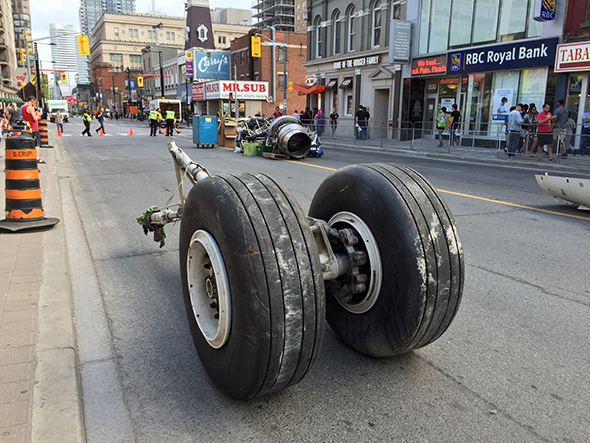 None of them has, however, been quite as dramatic as the one that took over Yonge St. yesterday. 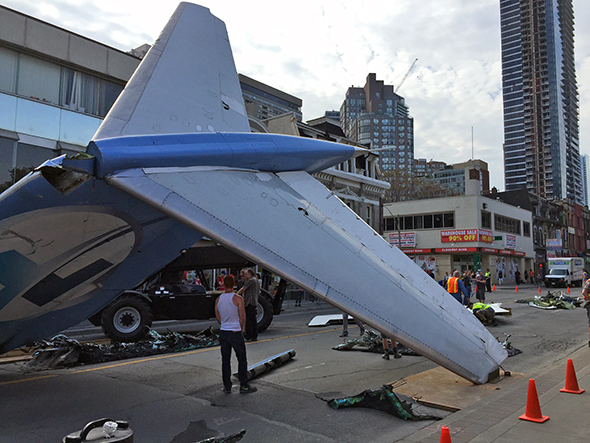 A section of the street north of College plays ground zero for a spectacular big-budget plane crash, complete with a severed tail fin that dwarfs the crew setting up the elaborate shot. 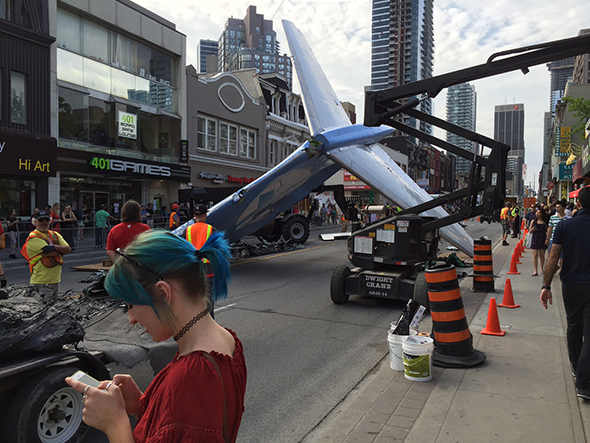 The scale of the production is reminiscent of the scene witnessed when filming of the Incredible Hulk took over a section of Yonge St. further south back in 2007. Unlike the Total Recall remake shot in Toronto in 2011, it's starting to seem like Suicide Squad will be one of those movies where the production's location is easy to spot for those who care to look. Yes, the whole thing is sure to get some serious editing and CGI work, but now we know what to look for when the movie hits the theatres in August 2016.